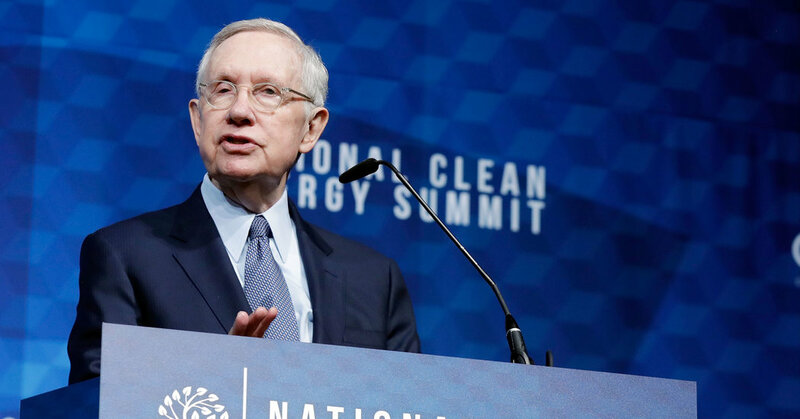 WASHINGTON — Harry Reid, the former Senate Democratic leader from Nevada, underwent surgery on Monday to remove a cancerous tumor from his pancreas. “His doctors caught the problem early during a routine screening, and his surgeons are confident that the surgery was a success and that the prognosis for his recovery is good,” Mr. Reid’s family said in a statement. Mr. Reid, 78, had the procedure at the Johns Hopkins Kimmel Cancer Center in Baltimore. He will next undergo chemotherapy, his family said. “He is grateful to his highly skilled team of doctors and to all who have sent and continue to send their love and support,” the statement said. A person close to the family says that the surgeon was optimistic after the procedure. Mr. Reid had been quietly letting people know over the past few days that he would be undergoing surgery, including former President Barack Obama. Mr. Reid was first elected to the Senate in 1986 and became the Democratic leader in 2005. He suffered serious injuries in an exercise accident in 2015, and he did not seek re-election the next year. Mr. Reid, known for a biting, acerbic wit and a penchant for partisan pugnacity, told The New York Times in March that he was ready to leave Washington behind. He was selling his apartment in a Ritz-Carlton here and planned to be in the nation’s capital infrequently. Unlike other former congressional leaders, he steadfastly refused to cash in on his connections to become a lobbyist — “I would rather be taken to Singapore and caned,” he said. In a Twitter post, Senator John McCain of Arizona, who has been battling brain cancer, wished Mr. Reid well. “From one cantankerous senator to another, sending my prayers & best wishes to @SenatorReid as he recovers from a successful surgery,” Mr. McCain, a Republican, wrote. President Trump did not offer his own Twitter message.